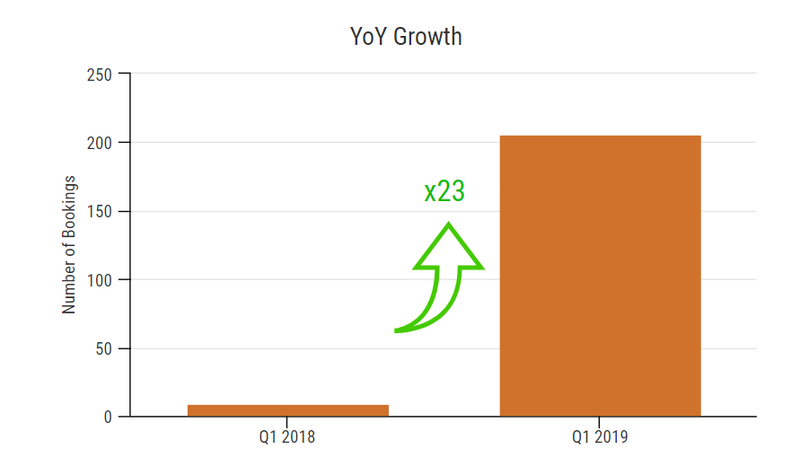 During the first quarter of 2019, we were able to almost double the amount of bookings placed on our marketplace for the 4th consecutive time. 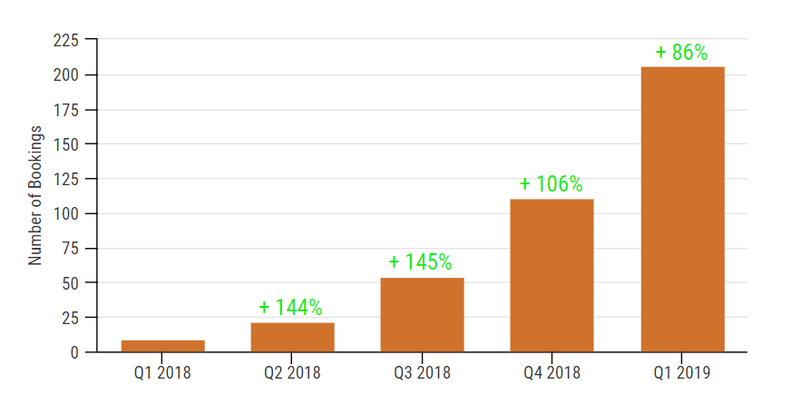 Talking in numbers, the fourth quarter saw a total of 206 bookings, which represents an increase of 86% compared to the 111 bookings recorded during the previous quarter. This growth was also reflected by the booking value processed during the same time period. 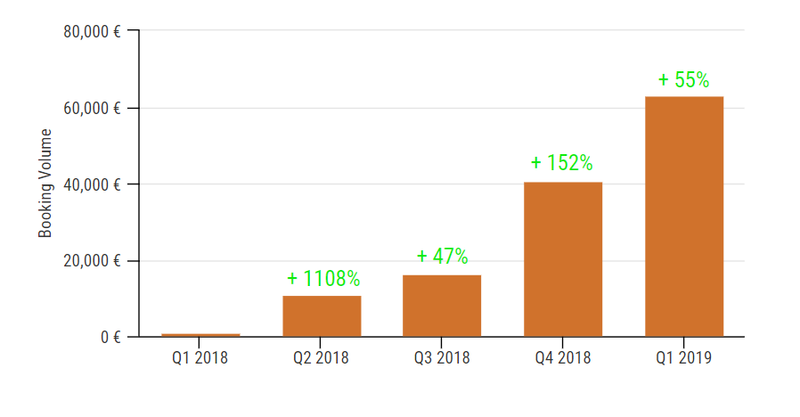 A total of 63,176 € worth of bookings were placed in Q1 2019 compared to 40,789 € in Q4 2018, representing a growth rate of 55%. A small note that this builds on top of the already magnificent jump that we had reported in the last quarter of 2018 (+152%). Processing more than 63,000€ on a single quarter means that we have already surpassed a yearly turnover rate of 250,000€. The average booking volume was 307€. Growing at 100% per quarter results in very significant compound effects. Comparing the first quarters of 2018 and 2019, we understand the true implication of repeating doublings. One of the key data points that is of high relevance to the LOC economy is the average lock-up period of the LOC tokens in the booking smart contract. In the first quarter of 2019, customers booked their hotels on average 25 days in advance. This is the average time a random booking locks up LOC tokens in the smart contract, thus excluding them from the circulating supply. We want to thank all of our users for their trust in LockTrip.